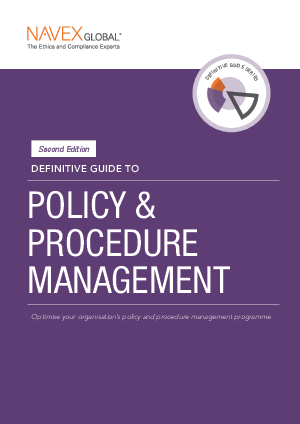 Download your Definitive Guide to Policy Management for real-world examples of companies avoiding litigation and penalties by having a well thought out compliance programme. Organisations that approach policy management strategically and exercise ruthless discipline with respect to their policies yield massive returns in organisational alignment, corporate culture, and ultimately their bottom-line results. And when incidents occur or regulators come knocking, you'll be prepared.